List of countries we deliver to and shipping rates that apply. Domestic Shipping within United Arab Emirates is Free. Express International Shipping ranges between $9.99 – $15.00 USD depending on the weight of the parcel. Domestic Orders placed before 5pm Sunday – Wednesday are delivered next day. Orders placed Thursday- Saturday will be delivered on Sunday. International Orders generally takes 2-5 business days to be delivered, it might be longer if there’s a public holiday or natural disaster around the time order is placed. Customs and import charges are included in the price of shipping for most (not all) countries. If for some reason, your parcel is being held at customs please contact our Customer Service for assistance. All deliveries require a signature upon receipt of parcel. 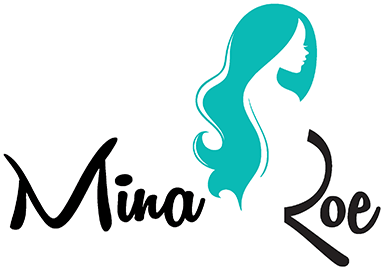 If you instruct the courier to do otherwise, Mina Roe will not be held responsible for lost or stolen items. Always check the parcel is in good condition before accepting receipt of your delivery. Do not accept receipt of the parcel, if it turns out to have been damaged during transportation. The parcel will then be returned to us, and we will exchange or refund you the full amount of your order. Pre-orders will be shipped on the date provided on product page. If your order includes both ready to ship and pre-ordered items, the full order will be shipped on the available date of the pre-ordered item; unless specified in the note section at checkout or via email to ship separately. Please take the time to review our Return’s Policy before placing your order. Track your order at anytime with our real-time tracker. Tracking numbers will be automatically sent to your email once your order has shipped; it can be also be found by logging in to your account.